Following successful prosecutions by the Federation Against Copyright Theft (FACT), licensees of the Hark to Towler in Heywood, Greater Manchester, and Jimmy O’s in Liverpool, have been convicted and fined for showing Sky Sports illegally in their premises. These convictions follow 15 successful prosecutions brought by FACT this football season alone, bringing total fines and costs paid by licensees across the UK to over £88,000. On 18th September 2014, at Liverpool Magistrates Court, Mr Gary Blade and Ms. Julie Collings of Jimmy O’s in Liverpool were each found guilty in absence of two offences of dishonest reception of a television transmission (a Sky televised football match) at the above licensed premises without a commercial viewing agreement with the intent to avoid payment of the applicable charge, contrary to Section 297 (1) of the Copyright Design and Patents Act 1988. Mr Blade and Ms. Collings were ordered to pay a combined total of £3,127 in fines and costs. In a separate case, on Monday 22nd September 2014 at Bury Magistrates Court, Mr. Eric Joseph Hoyle the Designated Premise Supervisor of the Hark to Towler pub in Manchester, was convicted in his absence of two offences of dishonest reception of a television transmission (Sky televised football matches) at the above licensed premises with the intent to avoid payment of the applicable charge, contrary to Section 297 (1) of the Copyright Design and Patents Act 1988. Mr. Hoyle was ordered to pay a total of £3,800. These convictions were carried out by FACT on behalf of its members and form a key part of Sky’s commitment to protecting pubs who honestly invest in legitimate Sky Sports subscriptions. 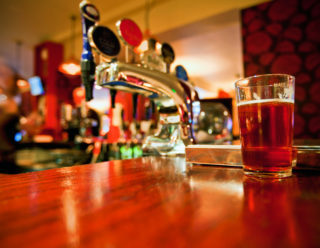 The company is committed to visiting every licensed premise reported by other publicans and/or organisations for illegally showing Sky. 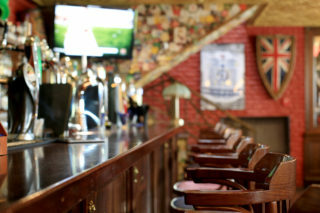 In total, Sky has made arrangements to visit more than 700 pubs each week in towns and cities across the UK this season.